It took the benevolence of a full loving group of girls on the verge of graduating from college to make it happen, a noteworthy feat in and of itself, but the first Girl = Boy murals are up. Some time back then someone instilled a fundamental “the sky’s the limit” attitude in you. Someone planted a seed in your head and filled it with dreams and aspirations, hopes and wishes. As your life has developed from that point, many things have been built upon that solid foundation. But can you honestly say that you could have become the successful person you are today without imagining that you could be whatever you wanted when you grew up? 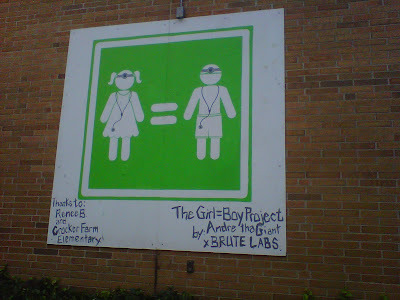 This is what the Girl=Boy project is all about: Planting the seed of gender equality in the psyche of young minds. S/O to Renee and all the folks out in Amherst that supported Andre in getting these murals up. Also thanks to Haz for some work behind the lens. The goal is simple, to propagate this message and to let girls and boys believe they can be whatever they can dream. 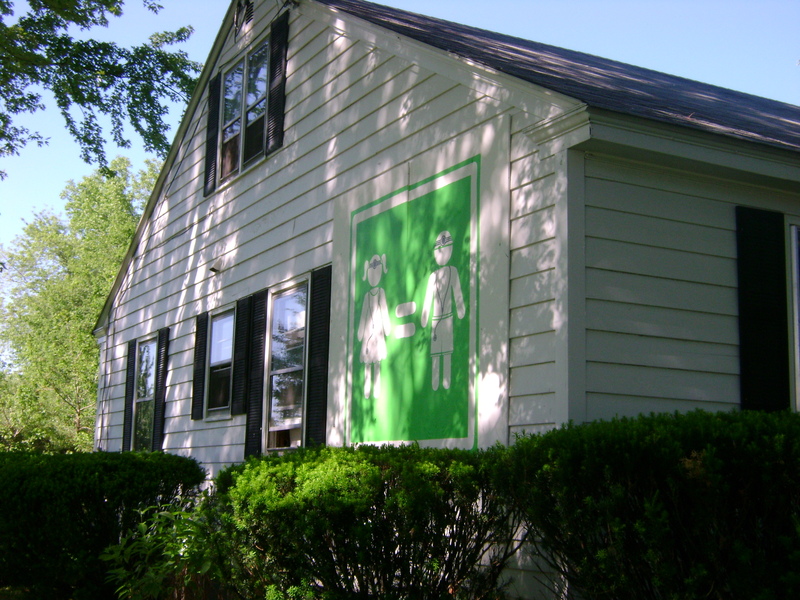 We would also like to show our appreciation for, Mike Morris, Principle of Crocker Farm Elementary School in Amherst, MA, for showcasing the Girl=Boy project for his nearly 400 K-6th graders. Thanks to everyone that has been a part of this and look for more to come.